KUALA LUMPUR (THOMSON REUTERS FOUNDATION) - Sales of maternity trousers that allow Muslim women in Malaysia to cover up while giving birth have surged, despite triggering fierce criticism and fears of putting the lives of women at risk during childbirth. The bright-coloured Mamapride trousers, which cost US$26 (S$35) and look like baggy jogging trousers, have a discreet hole for the baby to come out. Sales of the trousers have more than doubled since a story about the design went viral earlier this month, but critics fear this is fuelling a trend of "body-shaming" women in Malaysia. 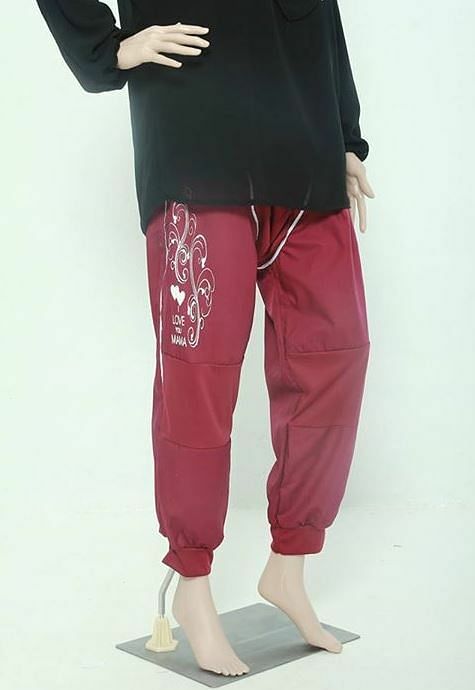 The All Women's Action Society (AWAM), a local rights group, questioned if the Mamapride pants were "a choice for women in labour" or manufacturers "cashing in on politicised Islam in Malaysia". "We find it unthinkable that a business should attempt to profit off the trend of body-shaming and women's insecurities while further perpetuating arbitrary notions of what it means to be 'modest'," AWAM said by email. "Any attempt to prey off women's insecurities and pander to misappropriated religious ideals needs to be critically examined if we wish to liberate women from this cycle of body-policing." AWAM says there has been a rise in cases of "body-shaming"in Malaysia, with women being refused entry to public buildings for wearing shorts or knee-length skirts. Islamic clerics recently criticised top gymnast Farah Ann Abdul Hadi for wearing gymnastic clothes that they deemed too revealing. The Mamapride trousers were developed by a team of 19 healthcare workers - five of them women - from the Malaysian medical charity Papisma, in response to religious scholars concerned about women being exposed to male doctors and interns. After testing in private hospitals in northern Malaysia, the trousers went on sale a year ago, said Wan Yusof, a medical doctor and spokesman for Mamapride who was on the development team. The company has received requests from abroad including from Britain, Ireland, Indonesia and Singapore, but for now the trousers are only available in Malaysia. "We haven't come up with proper study, so we are afraid if we sell in another country, it might go against their (medical) rules and regulations," Yusof said. The trousers could pose a risk by complicating emergency surgical interventions, said Saira Shameem, programme adviser in the Malaysia office of the UN Population Fund (UNFPA). She said the trousers were an example of how "interpretations of religious texts can potentially put the lives of women, and their children, in situations of increased medical risk". Azadeh Farzin of the International Centre for Maternal and Newborn Health at Johns Hopkins University in the United States, said that the modesty trousers may make women feel more comfortable. "However, this comfort has to be balanced with the medical care that might be indicated for the well being of the mother and her unborn child including scenarios that might prohibit the use of the pants." Manizha Naderi, a woman's rights activist in Afghanistan - one of the most religious and conservative Muslim countries in the world - called the trousers "ridiculous". "Women in Afghanistan won't go to male gynaecologists unless their lives depend on it ... Women won't let male doctors even touch them for regular examinations," Naderi, the executive director of Women for Afghan Women, said by email from Kabul. "Instead of investing in pants, people should work on educating the public (both men and women) on health benefits of going to a doctor to give birth."